With the opening weekend of NFL Football here it's time to hit the play books and come up with a Game Plan. 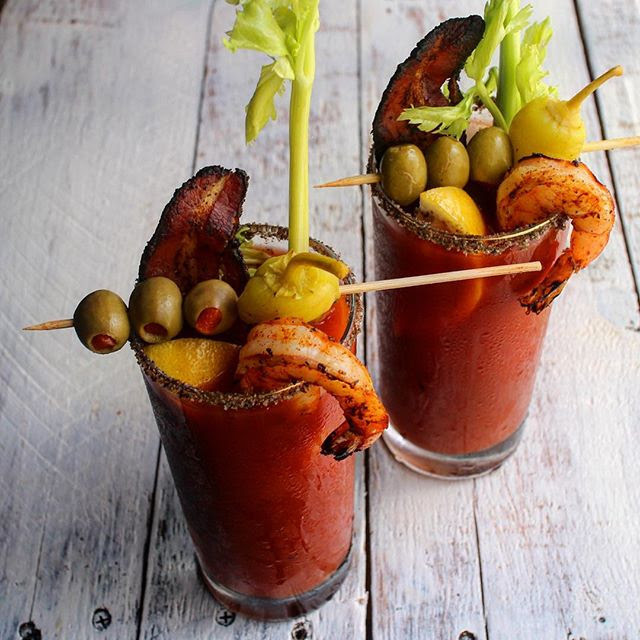 We've put together the perfect game day menu and mapped out a cooking strategy so that Sunday morning, you can kick back and relax with a Bloody Mary (or two). I always like to serve a slow cooker or braised meal that I make ahead on Saturday. Most slow-cooked dishes are even better the day after cooking as it allows the flavors to really incorporate. Also, if it's a rich dish, you'll be able to get rid of any fat that solidifies on the surface after it chills over night. On Sunday, just reheat the dish slowly on the 'warm' setting in your slow-cooker or on the stovetop on a low setting. Chili is a quintessential game day menu item. Our recipe is simple, has tons of flavor, and fresh veggies. 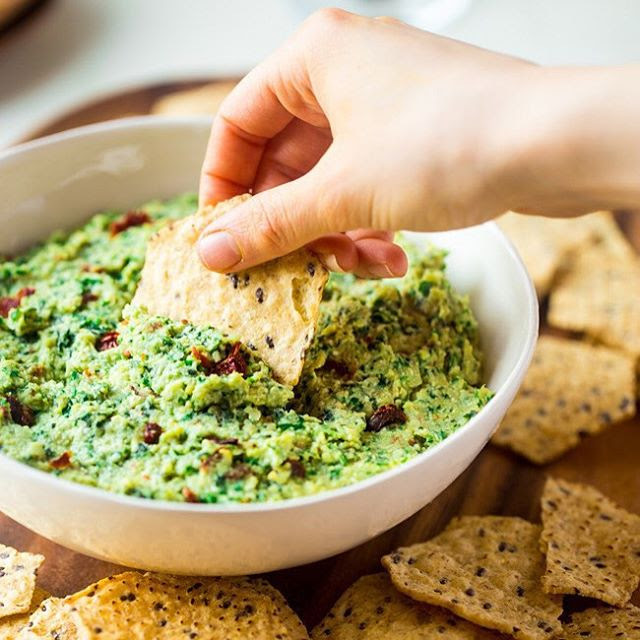 Prep toppings like tortilla chips, sour cream, grated cheese, red onions and avocado so guests can fix their own bowls with all of their favorites. 1) Heat olive oil over medium-high in a large heavy bottomed stock pot. Add onions and garlic and cook about 3 minutes, until the garlic is fragrant. Season with salt and pepper. Continue to cook onions and garlic until softened, about 5 minutes. Add carrots, celery, peppers and serrano chiles and season with salt and pepper. Cook until the vegetables become soft but retain their shape, about 10 minutes. 2) Meanwhile, heat a large sauté pan over medium high heat. Add beef and break up with a fork. Add 1/4 cup of the vegetables to the beef to add flavor while cooking. Season beef with salt and pepper. Cook until beef is nicely browned, about 5-7 minutes. With a slotted spoon add the beef to the large pot of vegetables, discard the excess fat. 3) Mix in the chili powder and cumin and cook until fragrant and the vegetables and beef are coated in seasoning. Add beer and cook until the liquid is reduced by half, scraping up any brown bits from the bottom of the pan. Add chipotle, adobo sauce and tomatoes and bring to a boil. Stir in the beans and transfer the chili to the slow cooker. Simmer on low for 4-5 hours. 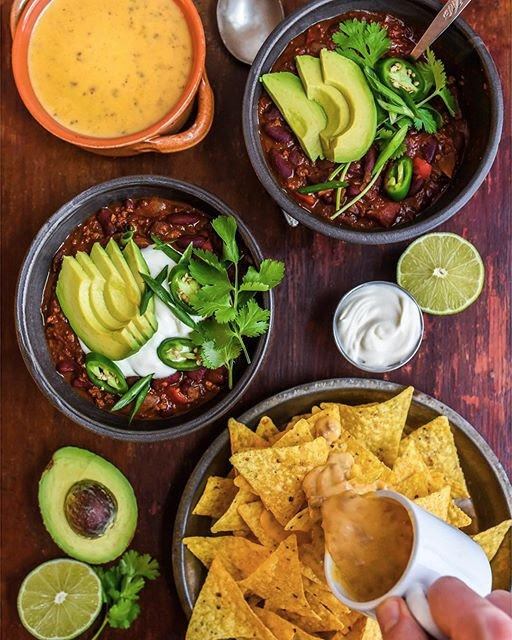 Serve chili with sour cream, cheese and cilantro. This braised beef is easy, affordable and requires just 6 ingredients. 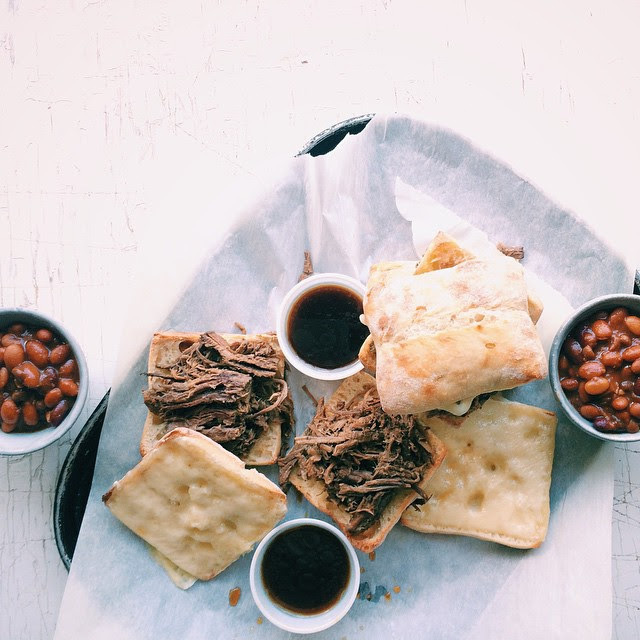 To serve, toast some ciabatta or sandwich buns and melt some provolone or swiss cheese with a side of the au jus for dunking! 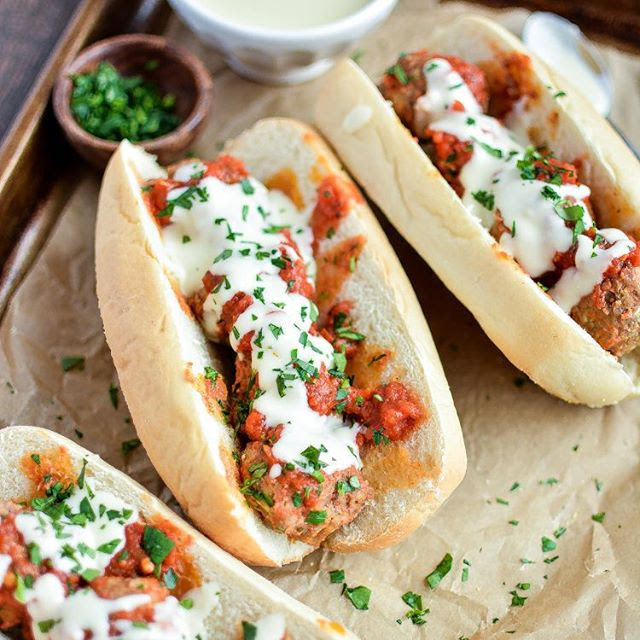 A blend of beef and pork goes into these meatballs, which are then slow-cooked in marinara and topped with a creamy parmesan and white cheddar cheese sauce. 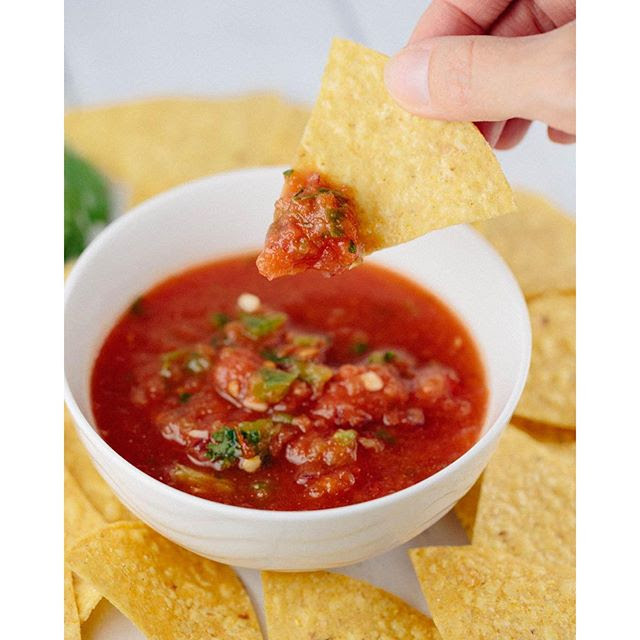 I like to stick to the basics for Game Day dips so they appeal to a crowd (think: Guacamole, Salsa, Hummus) but our Dip feed has 25 more unique options to choose from! All of these can be made on Saturday. 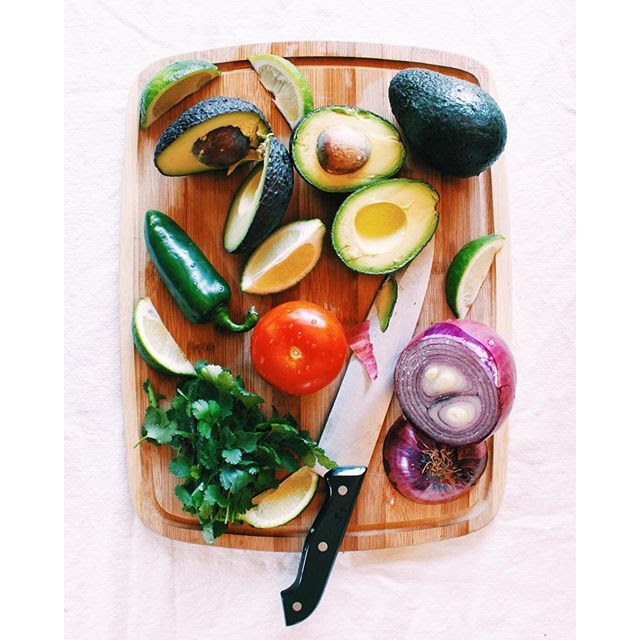 Add the avocados to a mixing bowl and mash with a potato masher or fork until smooth. Mix in the onions, tomatoes, and jalapeño and season generously with salt and pepper. 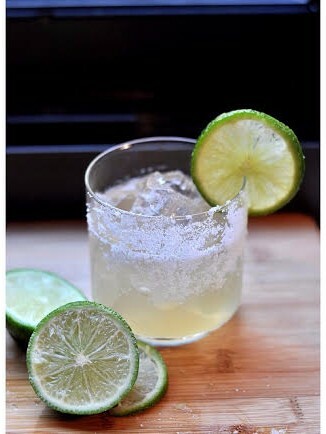 Add the juice of three limes and taste; adding more lime based on your preference (I tend to like lime heavy). Note: I've heard a lot of crazy tips for keeping guacamole from browning, but what I like to do best is add a few avocado pits to my storage vessel and add a layer of cling wrap (so it's touching the surface) before sealing it with an air tight lid. In my experience, this keeps the guacamole fresh for up to 3 days. This is a recipe I've made for years. I don't eat a ton of cured meat, but this sandwich is truly delicious, incredibly easy and the perfect treat for special occasions. 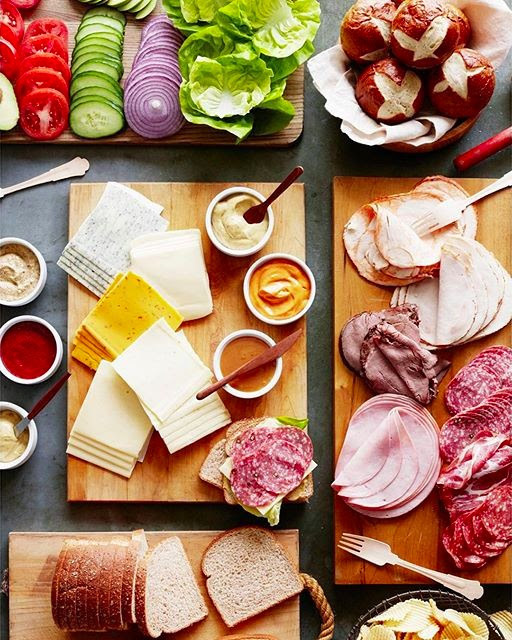 You can make this sandwich in the morning, wrap it tightly in foil, and serve it later that same evening or bring all of the ingredients along with you and set out as Gaby has done above for a DIY Sandwich Bar! Slice the ciabatta in half lengthwise. Scoop out some of the bread from both halves to create a pocket for the sandwich ingredients. (Save the extra bread in the freezer to use as homemade bread crumbs). Drizzle both halves with olive oil and salt and pepper. Layer the red pepper and onion over the bottom half of the bread. Next add the ham, followed by the salami, soppressata and finally the cheese. You may not need to use all of the salami,pepperoni and cheese, you just want enough to create an even layer over the ham. Sprinkle the sliced pepperoncini over the top and finish with the other half of bread. When ready to serve, slice into 1-inch slices. 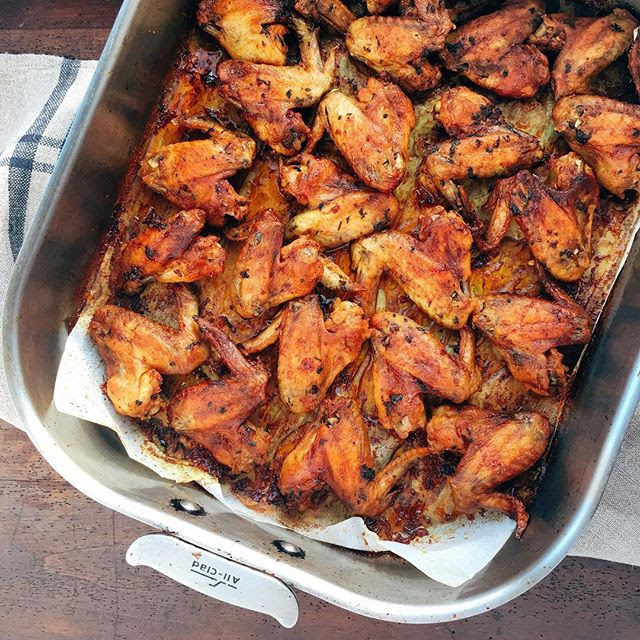 Marinate these wings overnight, and bake ahead at home in a disposable tin pan so they're easy to travel with. Reheat for a few minutes in the oven when you get to your destination. 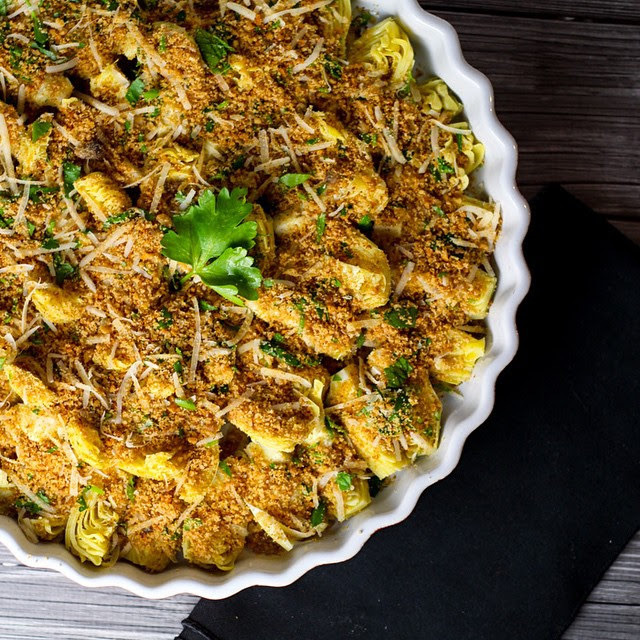 The flavor of classic stuffed artichokes without all the fuss of prepping fresh artichokes; this dish is perfect to bake and take. Need reinforcements? These showstoppers are sure to get you a win on Sunday. 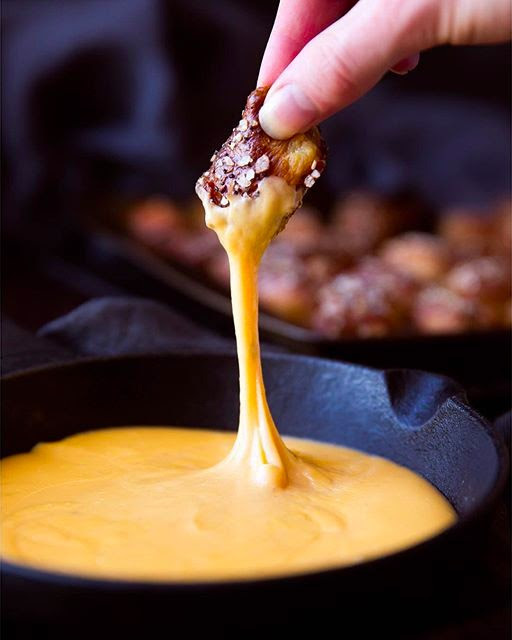 It doesn't get much better than homemade pretzels with a cheddar and IPA cheese dip! 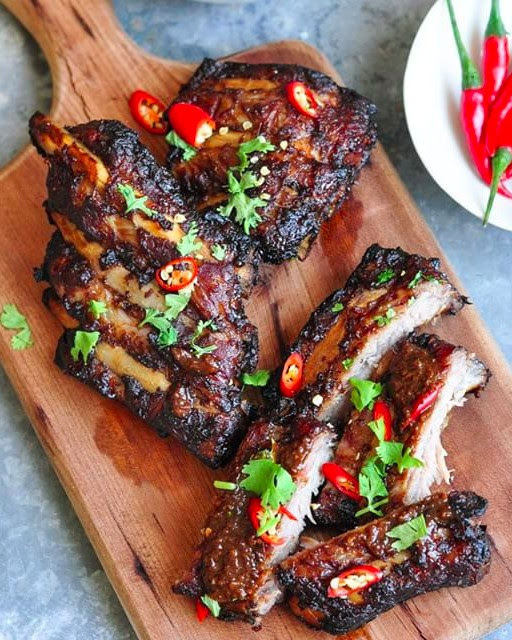 Be sure to marinate these ribs on Saturday. On to the fun part, cocktails! I usually ask guests to bring their beverages of choice, but I like to have a special cocktail on hand that they can fix for themselves. Combine all ingredients in a large pitcher and stir well. Chill for at least an hour before serving. *I sometimes thin this mix with 1/2-1 cup of water, depending on the viscosity of the tomato juice. Prep all of the accoutrements into ramekins or on a platter with food picks. Set out a chilled bottle of vodka and allow guests to DIY! This Margarita recipe by @Danielyeom is the perfect blank canvas for you to get creative with different variations on the classic. Last but not least: Dessert! 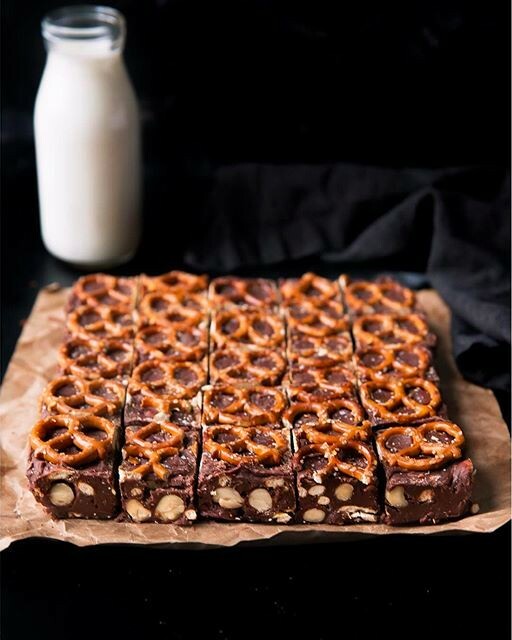 With just 5 ingredients and 20 minutes of prep time, this fudge is a no-brainer for parties! 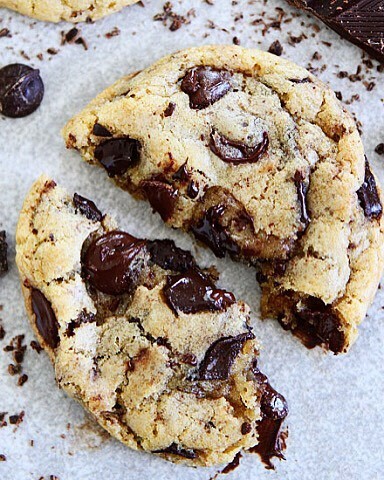 I always make my chocolate chip cookie dough ahead of time. I think it improves the flavor and the chilled dough produces a nicer bake.